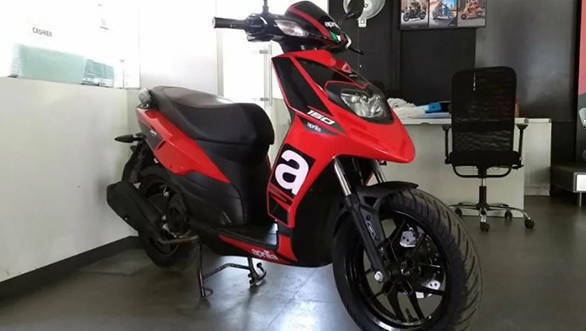 Aprilia SR 150 scooter has been updated with a single channel ABS (Anti-lock braking system) adhering to the newly implied safety regulation. That said, the cost of the Aprilia SR 150 ABS will cost a premium of Rs 8,000 over the existing model and will set the customers back by Rs 82,317. The Aprilia SR 150 ABS Race will cost Rs 91,271. 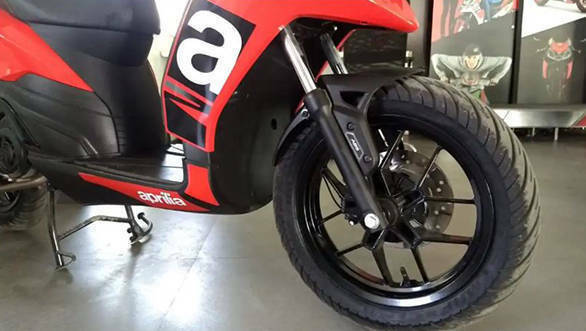 Along with the addition of the ABS in the SR150 and SR150 Race, the Aprilia SR 125 has been updated with CBS (Combined braking system). The updated SR 125 ABS is priced at Rs 71,224. The Aprilia SR 150 is powered by a 154.8cc engine that produces 10PS of power at 6750 RPM and 10.9Nm of torque at 5000 RPM. Whereas the Aprilia SR125 produces 9.5PS at 7250 RPM and 9.9Nm of torque at 6250 RPM. Both the scooter use a continuously variable transmission. The Aprilia SR 150 rivals the Vespa SLX 150 and the Aprilia SR 125 rivals the TVS Ntorq 125, Suzuki Burgman Street 125 and the Honda Activa 125.